Think about it, we were never taught to grocery shop or showed the right ways to get our shopping done. Usually, we tend to leave the store with more than what is needed, wasting money and precious cupboard space. We have a few tips and tricks to help you avoid wasting money and resources. 1- Prepare a Grocery List: Make a list of things to buy. Go around and note down the items that have finished, what you need to top up on, what you are planning to cook (and the respective ingredients). 2- Check out bulk section: Larger supermarkets always have a section with discounts and bulk offers. These can be great when buying goods that you use on a regular basis and can help you stock up. Look for non-perishable goods and focus on the basics: pasta, condiments, rice, canned goods (that you tend to cook with regularly). It’s also a good place when considering toilet paper, tissues and cleaning products! But, be careful! You don’t want to go overboard. 3- Do not shop when you are feeling hungry: An excellent way to initiate your shopping trip for success is to go on a full stomach. 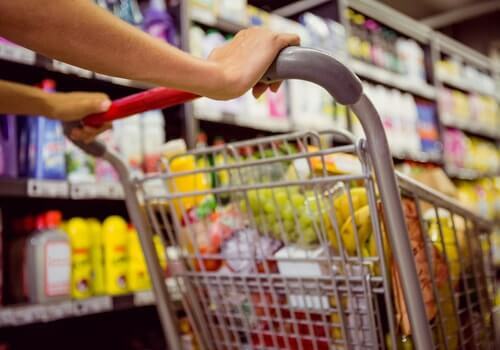 If you’re hungry, you’ll be quickly influenced by desired items before you know it and you’ll see your cart fill up before even looking at the list! So, eat before you go shopping. These are few tips that are thought to be the most helpful. If you get any tips that you use and work, let us know.